There were many more entries than usual this month but the winner was a photograph by David Mangelsdorf. Looking back over the last three winners, a royal theme emerges. In April it was the elegant Queen Orchid, in May the flamboyant Queen of Sheba and this month it is the dignified Queen Spider Orchid (a statelier name than the more usual common name of Narrow Lipped Spider Orchid). The botanical name for this species is Arachnorchis leptochila spp letptochila (syn. 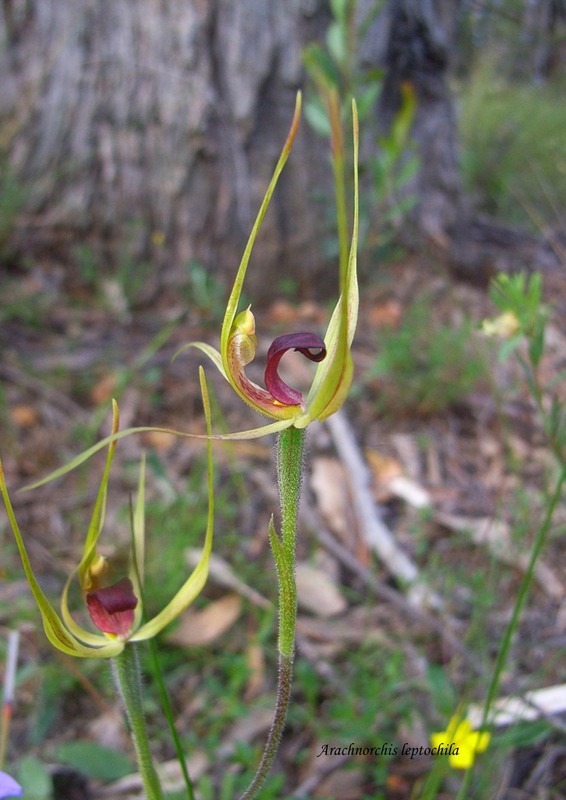 Caladenia leptochila). An endemic species of South Australia, it is mainly found in the Mount Lofty Ranges where it favours leached stony soils. 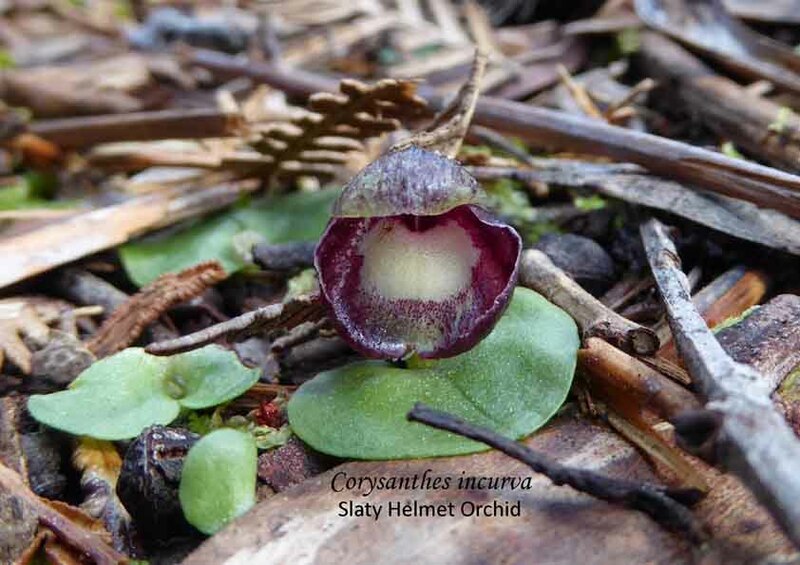 Flowering in spring, it is easily recognised by the upswept segments and narrow labellum. Usually these orchids are characterised by dark clubs which can be seen even in bud, but in this picture they are light coloured. This could be due to variation with the species, as occasionally pale coloured flowers have been found. Interestingly in doing an image search on the web I found none with light coloured clubs. 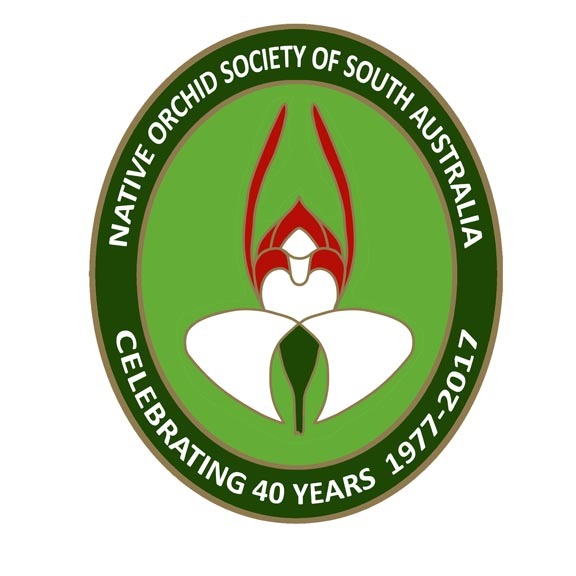 This entry was posted in Monthly photo competition, Orchid Identification and tagged Arachnorchis, Arachnorchis leptochila, Australian orchids, Caladenia, Caladenia leptochils, Narrow Lipped Spider Orchid, orchid, Queen Spider Orchid, South Australia, Wild Orchid. Bookmark the permalink.